A bit bigger than the 'Double Rod Holder'. A place for your favorite fishing rods and bait. 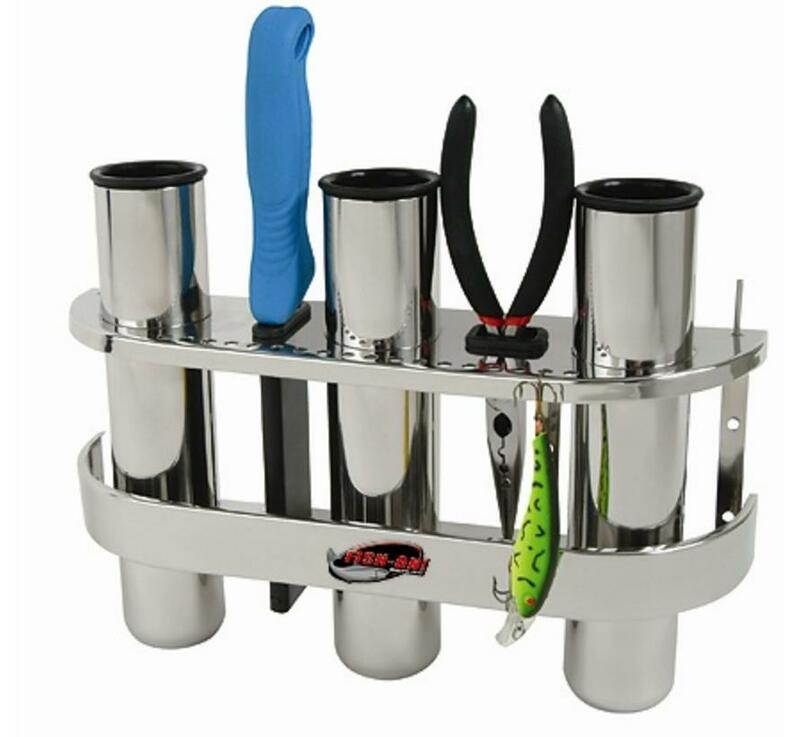 This high quality stainless steel rod holder has a place for your fileermes, bow tie and bait. To support three fishing rods. The rocker support of the Tournament Series Triple Rod Holder is a nice addition to your boat to organize the fishing rods. 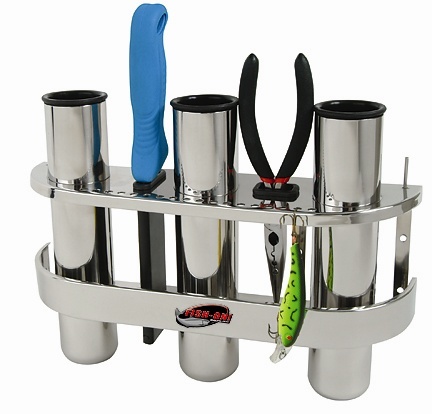 Made of polished stainless steel 304, injection molded ABS inserts to protect valuable fishing tackles and tools.